Are you familiar with persimmons – that tart edible orange walnut-sized fruit of the American Persimmon Tree in the genus Diospyros? According to Wikipedia the word Diospyros is Greek and means ‘the fire of Zeus’. The American Persimmon (Diospyros Virginiana) is native to the Southern and Eastern United States, and some states in the midwest. Its wood is highly prized among furniture makers, resembling ebony. 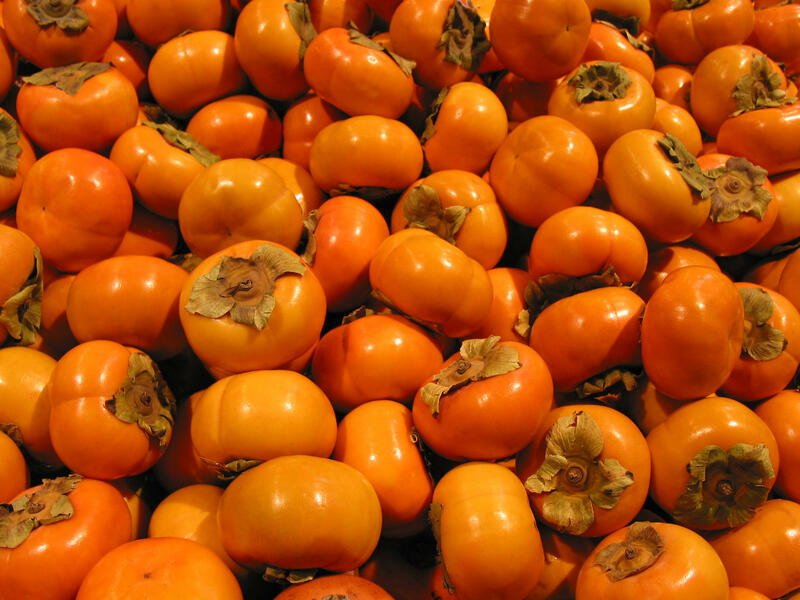 And the word ‘persimmon’ is a derivative of the Powhatan word for ‘a dry fruit’ – putchamin, pasiminan, or pessamin. Even the seed of the fruit has a tradition concerning it. If there is a spoon shape on the seed it is meant to indicate a lot of snow shoveling, a knife shape means biting cold will be the winter’s destiny. But what on earth does one do with that astringent, mouth puckering, tart fruit? Well, the first thing you need to know – if you don’t already – is that the fruit must ripen completely before harvesting and although many say it isn’t necessary, I was raised by Southern wisdom which dictates that frost must nip the fruit before it can be enjoyed. That’s worked for me thus far, so I’m sticking with it. It is also why my fruit picture didn’t look quite as beautiful as the one I found online. If frost bitten, yours will not be as plump or spot free either. Wildlife love this forest find, especially deer. So you’ll have to beat them to it or climb higher than they can reach. As the persimmon tree is a bit of a leggy thing with skinny limbs, it isn’t suited for climbing. You may know of some older ones that defy this generality, but this has been the case for every tree of the American variety that I have seen. We have them growing wild in the forest on both farms – North Carolina and Virginia. But how do you get the pulp out with the almond shaped and sized seeds in its center? I use a food mill – the old fashioned kind with a handle that circles a curved dull blade against holes in its bottom. But you could mash them against the bottom of a colander. The idea is to separate the pulp from the seeds and skin. Although the internet has many recipes for persimmon pulp ranging from candy to pie to ice cream to cakes and cookies, there is only one thing I have ever used it for – the traditional pudding. This is a cake style pudding which reminds me of an English Plum Pudding. And just as a plum pudding would grace a holiday table during the holidays in Merry Olde England, it is a tradition in the south to place one on our table. Perhaps this is just a carry over from our European ancestors, but it connects us over the centuries past. And I’m going to share my family’s recipe, handwritten in my recipe collection from a handwritten copy in my mother’s and she from a handwritten copy in her grandmother’s. The method my family used was to blend as for any cake and that is what the directions call for. My mother never kept plain flour on hand so she changed the recipe to use self-rising flour and cut out the baking powder and salt. Then it is baked instead of steamed as so many puddings of this style are. The odd thing here is that when the finished product comes out of the oven, it will resemble a cake, but as it sets and the steam releases, it sinks into a dense pudding with the texture of a pumpkin pie. So whip up a pudding and enjoy a Thanksgiving tradition. Beat the eggs together with the sugar, then add the pulp and the melted butter. Sift together dry ingredients – meaning the flour and the spices. Add them to the pulp mixture alternating with the milk – but begin and end with the flour mixture. Spread into prepared 11 x 13 oblong pan. Bake at 350 degrees Fahrenheit for 45 minutes – or as my recipe says – til done. Let it cool and allow it to settle in pan before trying to cut or remove it. Serve with whipped cream if desired. I refrigerate the remaining pudding. I’ve seen them in the supermarkets here and wondered what to do with them. I think in the UK we used to call them Sharon fruit. Yes, they do go by Sharon fruit and lotus fruit. The ice cream recipe is calling to me. What do you think? Should I try it or not? That sounds and looks delicious! I have never known exactly what one would “do” with a persimmon before. Thank you! 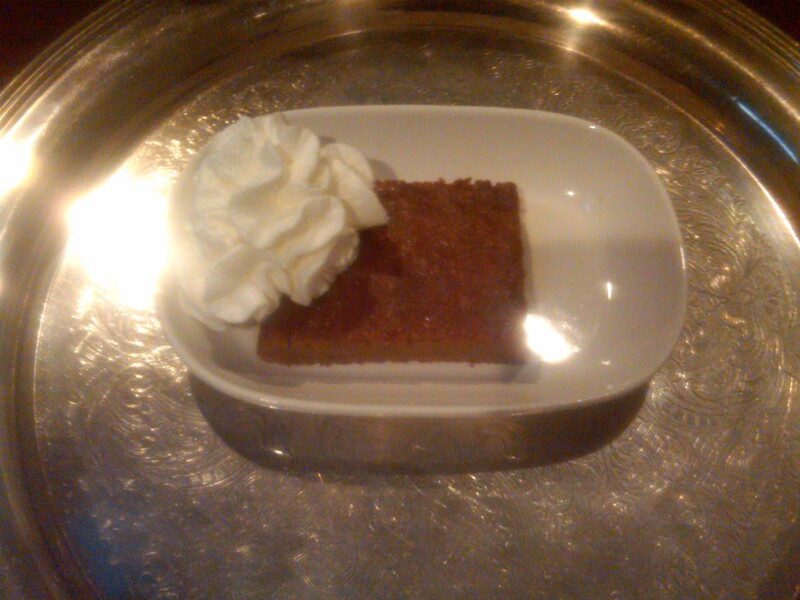 My mother was so happy when I told her that I would be bringing the persimmon pudding. I think the outcome will surprise you. If you try it let me know what you think. I love this! I too have been wanting to cook with persimmons. I may well try this. Hi Susan. I love the name of your blog. This is easy to make as the hardest part is getting the pulp from the persimmon. In some areas it is a larger fruit than the native ones that we have, so even that may not be as difficult. Let me know how it turns out. I’ve never had a persimmon – or something containing a persimmon – at least not to my knowledge! Now’s the time John. Be brave! You are absolutely correct! That’s why I thought the actual picture of the fruit might be necessary to help each identify the fruit by other names. Thanks for visiting. I’ve heard of persimmons but haven’t ever tasted one – this looks like a very yummy desert. This is totally new to me: “Sweet Milk”. Who knew? So…did you find knife shaped seeds or spoon shaped ones this year? You know, I forgot to check until I had already dumped the seeds. But when my husband returns from his hunting trip, I’m going to see if he’ll get me another one to check out. Isn’t that cool! My goodness! This picture looks just like our California persimmons, but ours are apple-sized and sweet. I don’t remember about the seed because I don’t eat them. They always struck me as mushy. Grandma had a very large tree which I climbed as a little kid. My Mom loved them. She’d chill them and cut them in half, then spoon the pulp out and eat it, with lots of lip-smacking. She likened it to eating ice cream. Grandma made them into persimmon pudding. I don’t think that frost touched them where we lived. I don’t think they grow anywhere in the wild. So must be a whole different (latin word different from your latin word). I’m not sure whether they sell them in our market up here, but if they do, I’ll try to get a picture of one side-by-side with an apple. We call the large ones Japanese Persimmons and they are slightly different. I think there are three or four varieties, all of which belong to the same genus but have slightly different sized trees and fruits. The American Persimmon isn’t normally found much west of the Mississippi, or so I understand. But I did find an ice cream recipe that I’ve been tempted to create, so your grandmother’s analogy to ice cream makes me think it may be something worth trying. I’m a crazy dessert maker (I realize this has two meanings). Right now, I’m making pies and flan. If I can find persimmons, I’m going to try this. Thanks! Crazy dessert maker? That sounds intriguing. Thanks for stopping by and let me know if you have success with this. Good Luck! I have become addicted to craigslist in recent months, looking for bargains on items I might need for my current project. And, lo and behold, I’ve come across a few ads (one just today) for persimmons that are being offered close to where I live. I’m sure I’ve tried one or two persimmons in my life, but it’s been many years. Seeing your recipe gives me a prompt. Thanks! You can find persimmons on Craigslist? Who knew? Renee i never ever thought you are going to give persimmons a place in your blog. One thing for sure it deserves a place in your blog, as it’s very favorite of mine. In my country it is called as “Sapote” and in my mother tongue “Sapeta”. 🙂 Its name may change from place to place, but its taste will remain all over the world. It’s simply delicious. I don’t think it would ship well, or I’d send some to you. How does your mother prepare them? I noticed that they are often dried in some areas, and eaten like dates. I’d love to know how you use them there. And just between us, I am a good cook Arindam, and an even better eater. I’m not shy about trying new foods and I think that has made me a few friends across the globe as I will try their local delicacies even it is something I would probably not eat under normal circumstances. As always you got it right. In my country these are eaten like dates. And my mother does not prepare them, we have to eat them dry. Maybe some of the readers can offer another tip for those pesky seeds. The pulp is worth the effort – and a beautiful color! Persimmon Cookies . . . a holiday tradition in my family. Great post on the much underrated persimmon. Persimmon cookies sound yummy! I’ll have to try that. I’m glad to hear they are part of someone else’s tradition! Enjoy! Oh my goodness! I had no idea persimmons were edible, being that they are so sour! Growing up we used them as ammunition on our freshly sharpened sticks, flinging them at one another. Your mother must have dreaded that one – LOL – bet it left stains! But I love the creative way you guys stayed intertained. Your photo is so bright and cheery. You always have great photos on your site, so I take your compliment to heart. Thanks! INteresting. Deep in the woods across the road there were wild persimmon trees. We’d sneak over there and shake the trees (after the frost), and gather up a sac for jam. It makes me wish I could go home and see if those trees are still there. Thanks for the memory. It does feel a bit like baking up a memory doesn’t it? I have never made jam with them, but it sounds delicious! I’m going to have the hubby back to the woods for more of these. Oh my goodness, you make me nostalgic for the opportunity lost. Growing up in my elementary years in deep East Texas, we had an abundant crop of persimmons on a backyard tree. My brother, (who doesn’t have a sweet tooth and doesn’t really ever eat dessert ) ate them right off the tree. I’m afraid the rest of us in the neighborhood did exactly what The Barefoot Indian did…use them as flinging fodder. Such a waste…except for the memories. We didn’t think of using them as ammunition. But I don’t think that was a waste. So many kids don’t play outside at all anymore. I love hearing how you guys found ways to be creative with nature! I am not a baker, but love persimmons. My mom makes yummy cookies from the fruit. I have printed this one for her to try. Btw, the photos are lush and inciting. How nice. Please let me know what she thinks of it. I made one for Thanksgiving and it was a hit! I’ve never tried them but your post makes me want to – yum! You may be too far north for them to be native but if you have the chance, I think you would like them. Just don’t try them right off the tree or the astringent quality might be a turn off. I don’t think they are native to your area – maybe too far west for them. But if you have the chance, keep this in mind. Please do try it and let me know how it turns out. Happy Thanksgiving, I have chosen you for the Liebster Blog Award… just follow the directions on my post and have fun. Love reading your site always. Thank you so much! You’ll read all about my picks as soon as I’ve finished with the November challenge! 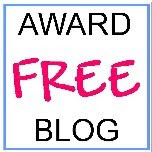 Good morning, I just wanted to stop by and let you know; I ‘ve enjoyed reading your blog and I have nominated you for the Liebster blog award…just follow the directions on my post and have fun. Thanks Jess! I’ll follow the rules in just a few days! 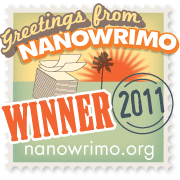 Am racing toward the nanowrimo finish line. We’re very glad to discover you’ve used one of our fruit photos for this interesting recipe. Feel free to download any other photos from our website that suit your needs. As a small token to us we really appreciate it if you can provide a live link back to our website http://www.schoolphotoproject.com — to support our effort to provide more and more free photos for everyone. You just did and thanks for the photo. You’re very welcome! Thanks again.